Higher education leaders should look for ways to help young people in juvenile jails start to work on their college education now that the Obama administration has clarified that the longstanding ban on Pell Grants to prisoners does not apply to them. That was the message that David Domenici, a former principal at a school located in the D.C. juvenile jail who now advocates for better education in juvenile jails, sought to deliver on the heels of new set of guidances jointly issued earlier this week by the U.S. Department of Education and the U.S. Department of Justice. “We need to make sure the higher ed folks spread the word on this,” said Domenici, executive director and founder of the Center for Educational Excellence in Alternative Settings. Domenici also said higher education and juvenile justice leaders should collaborate to make efforts to provide online education to young people being held in juvenile facilities and do their best to make it work, even though completion rates for online education are frequently unimpressive. “Instead of shrugging your shoulders and saying, ‘This ain’t gonna work,’ ask, ‘What can higher ed do to make it more likely for these guys to be successful?” Domenici said. Domenici made his remarks following this week’s issuance of a guidance from U.S. Secretary of Education Arne Duncan and U.S. Attorney General Eric Holder that clarifies whether young people being held in juvenile justice facilities are eligible for Pell Grants — something Domenici says many in the in both the juvenile justice field and higher education thought was the case because of their interpretation of the Violent Crime and Control Law Enforcement Act of 1994, which included a ban on Pell Grants to prisoners. Domenici had been pushing for clarification on the issue in recent years. His prayers were answered this week when the Obama administration issued a set of guidances that included a fact sheet titled “Students Confined in Adult Correctional or Juvenile Justice Facilities” that clarifies matters in a Q&A format. Question No. 3 asks: Am I eligible for Federal Pell Grants while I am confined in a correctional or juvenile justice facility? “It depends on where you are confined,” the fact sheet states in its answer. “Individuals incarcerated in federal or state penal institutions may not receive Federal Pell Grants. While questions have long lingered about whether the longstanding federal ban on Pell Grants to prisoners was applicable to juveniles, Domineci said the issue was raised anew three years ago during a retreat for leaders of education departments in state juvenile justice agencies. During the retreat, he said, one participant asked whether young people who had been committed to secure juvenile facilities were eligible for Pell Grants. “Someone said ‘No, because they are incarcerated,” recalls Domineci, who attended the retreat at the Alex Haley Farm owned by the Children’s Defense Fund. Domineci said the issue was ripe for revisiting since online education has become more prominent and could be harnessed to serve young people who already have their high school diploma or GED and are being held in a juvenile justice facility. A U.S. Department of Education official said there are an estimated 4,000 such young people ranging in age from age 18 to 21 who are being held in juvenile justice facilities that would be eligible for Pell Grants. Domineci said it’s better to provide education to young people in detention facilities to help them further their education instead of letting them idle. If online education is pursued, he said, it should be done in a thoughtful way, not just letting students sit at a computer screen with headphones on and hoping for the best. 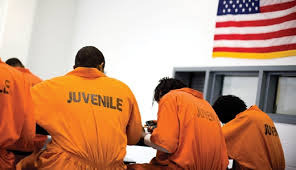 And now that it’s clear young offenders in juvenile facilities are eligible for Pell Grants Domenici said, there’s one less excuse for why it can’t be done. The new guidance could also embolden those who work with young people who are about to be released from juvenile justice facilities to help them begin working on the federal financial aid applications now instead of waiting until they are released, Domenici agreed. “High-quality correctional education — including postsecondary correctional education, which can be supported by Federal Pell Grants — has been shown to measurably reduce re-incarceration rates,” Duncan and Holder wrote in a letter that was part of a larger “Correctional Education Guidance Package” concerning the rights of incarcerated youth. The package is part of President Obama’s My Brother’s Keeper initiative, which calls on business and philanthropy to help close “opportunity gaps” faced by boys and young men of color. The move to clarify whether young people in juvenile justice facilities were eligible for Pell Grants was hailed by the Education from the Inside Out Coalition, which among other things, is fighting to restore Pell Grant eligibility to all prisoners.